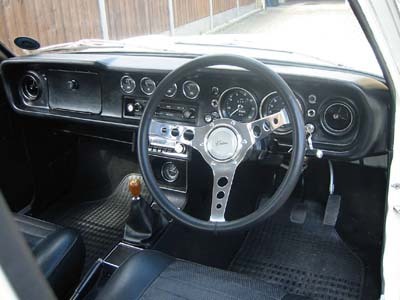 "It was the best of cars..."
Prior to obtaining my 1970 Lotus Cortina, I had a Mk1 4-door GT. 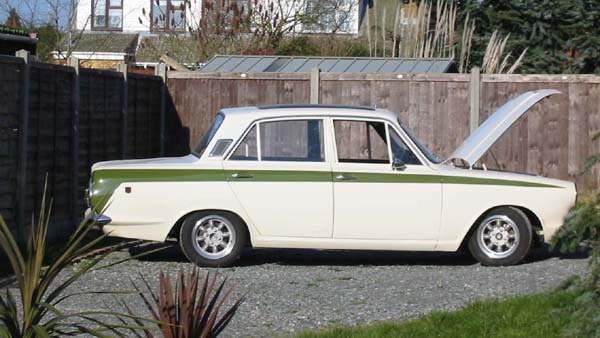 It was a very late one, registered in January 1967, on a UK "E" plate. The "E" represents the year 1967, obviously there were not very many registered in that year as the MK2 was announced in September (I think) 1966. Although it was a 4-door it had been done in Lotus colours. 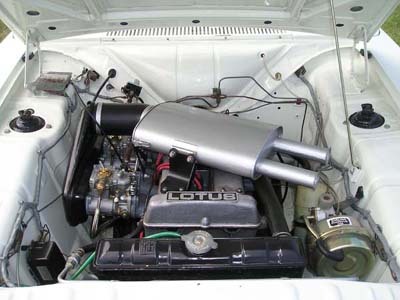 It had a hybrid engine as well, a 711m block which had been bored out to 1760cc, coupled with an Ian Walker Racing (IWR) stage2 head, and went very well. I bought it from a friend who had owned it for 10 years, I had it for 2 years and sold it last October in preparation for purchasing a Lotus. Initially I wanted a Mk1 but prices over here have gone wild. I anticipated it would cost me around £12,000, but when it came to it, I found it would probably cost me around £15,000 for a good (not mint, they are £20,000 plus) one, which would have left me penniless, without the funds to sustain ownership. 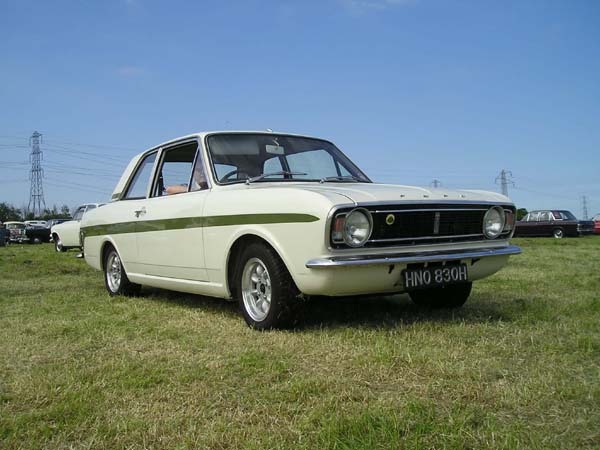 After a couple of months I learned of a stunning Mk2 that might be available. It was January this year (my 50th birthday, in fact) when my friend and I went to view. It was freezing cold, and I was quite unwell, I have been recovering from serious illness for the past 15 months or so. One look at the car made up my mind and I took delivery a couple of weeks later. The guy was very reluctant to sell. He had owned it for 10 years, and had restored it ground-up for 2 years before putting it back on the road in May '96. 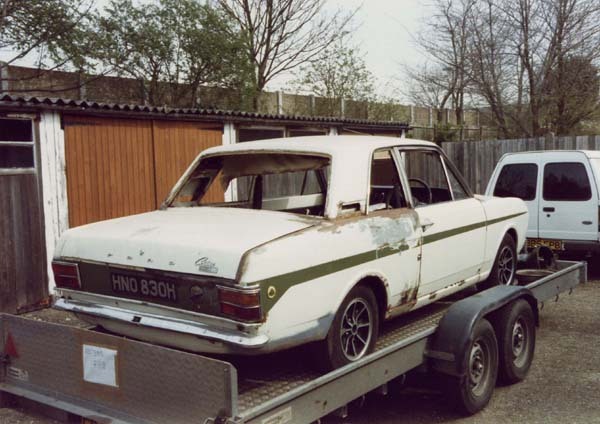 However, he is now restoring a Mk1 S/E, and the funds from the Mk2 would help his quest. I have no regrets about buying a Mk2, I think you'll see why in the pictures. It is in mint (nearly) condition, it looks great, drives great, and has won several trophies this year. I have several cosmetic things I want to get done over the winter before next season, but there is absolutely nothing that 'needs' doing. A nice situation to be in. BA91KT21417 in 1994, before the previous owner restored it.